Dews inherited his passion for the sea from his grandfather, an assistant harbour master in Hull, while his love of art was cemented at the age of five, when his picture of a ship was displayed on the wall of his infant school. 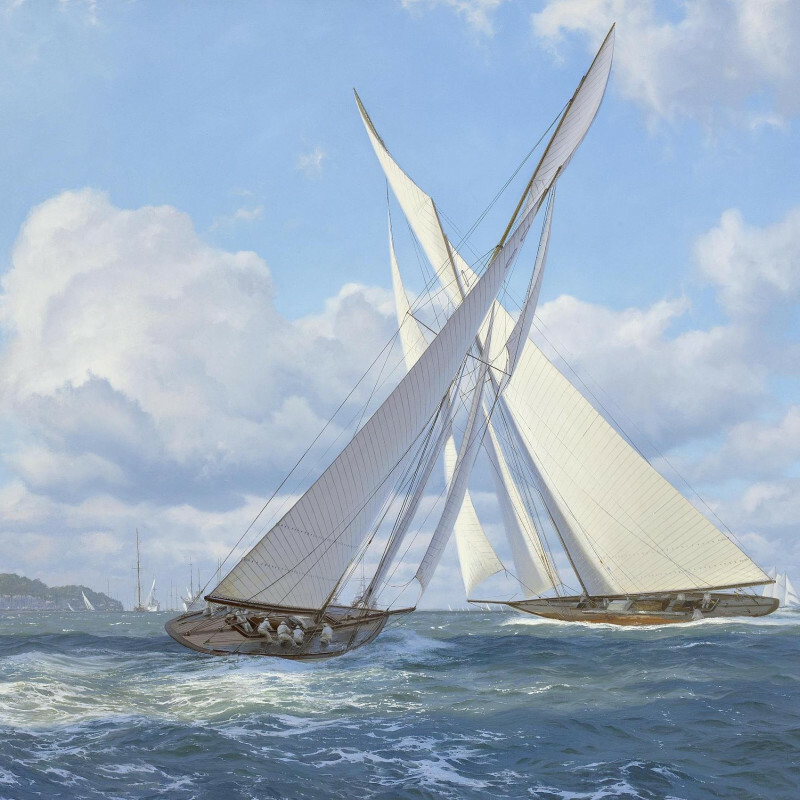 As an experienced yachtsman, Dews approaches his work as an artist with a combination of technical understanding and deep appreciation for the sea. His accurate knowledge and attention to detail is matched by a skill for portraying the marine elements of wind, sea and sky. Since the explosive success of his first exhibition at the Tryon in 1976, Dew has shown regularly with the gallery and his work continues to be highly prized among collectors. Many yacht owners have commissioned portraits of their vessels, and his work is equally in demand from institutions. Notable commissions have included records of the Australian Bicentennial Celebrations (from the Marine Board of NSW in 1988), the New York Yacht Club 150th birthday regatta at Newport, RI (1994) and the America's Cup Jubilee Regatta (from the Royal Yacht Squadron in 2001).